Xiamen Airlines Receives First Boeing 737 MAX 8. 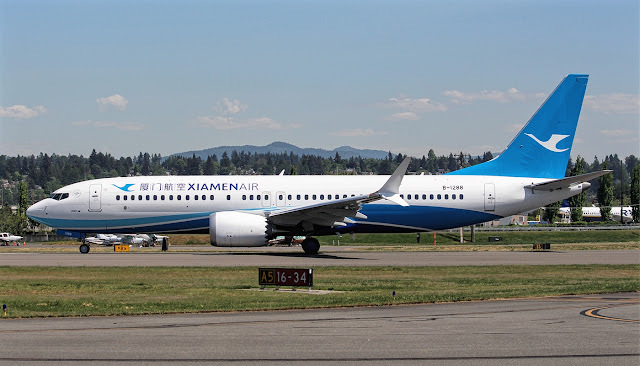 Xiamen Airlines has received the first of the 30 Boeing 737 Max aircraft that it has on request. The Max 8, registered B-1288, was delivered to the airline in Seattle this morning. The jetliner is owned and operated by Xiamen Airlines. The aircraft equipped with the CFM International Leap-1B engine. Then, the route will be used mainly to connect Fuzhou with points in Southeast Asia. In March, Xiamen Airlines signed an order for 20 737 Max 8 aircraft and 10 737 Max 10 aircraft. They also known as one of the first Boeing 737 MAX series in the region.